On the hunt for petrified treasures, players are competing paleontologists trying to make as complete a set as possible of several fossils. 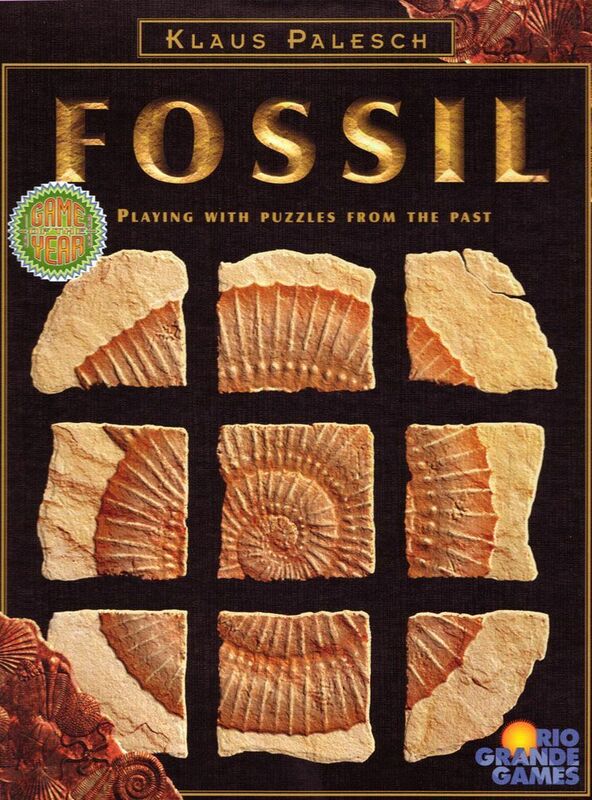 The board is laid out with a random bunch of fossil pieces and players have to take turns moving a stone about the field to a location where they want to pick up a fossil piece. However, every movement costs them prestige points so they have to weigh carefully if the fossil is worth the effort. Won Games Magazine Game of the Year award in 1999.